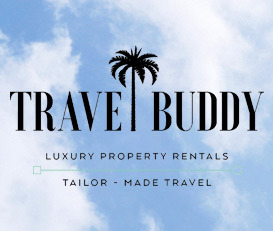 Travel Buddy UK is a luxury agency specialising in worldwide property rentals, overseas honeymoons and weddings, whilst also combining a wealth of experience in the travel industry ensuring your all travel requirements are catered for. We have extensive experience in extremely lucrative, high-end luxury villa rentals worldwide, with over 100,000 properties available to us. With a vast array of knowledge across Europe, the Caribbean, the Indian Ocean to name but a few, make sure you make us your next choice for your holiday requirements. We are both ABTA and ATOL protected through The Holiday Village, which is a member of the Midcounties Co-operative Travel Consortia under ABTA P6710 and ATOL 6053. Being ABTA and ATOL protected simply means you can rest assured your holiday is in safe hands ... After all, we only work with the best operators in the industry. We look forward to assisting you on your journey into making your dream holiday, a reality.